If you are purchasing or leasing property — whether a home, a condominium, a farm or a business — you need to be aware of the legally binding easements that affect the title to the property. Separately recorded easements or easements created by deed will specify any rights that allow someone to use a property that they don’t own. Easements are generally considered permanent, and a deed covenant may protect someone’s right to continue to use the property even if ownership changes. The most common property easements are held by utilities and the Department of Transportation. These allow the power companies to install and maintain lines and also trim trees (even if you don’t want them to). Utility companies may replace and maintain water and sewer lines, and the DOT can expand a road. While erecting a non-permanent fixture, such as a fence on an easement, may be permissible, building a permanent structure, such as a garage, would be problematic. There have been instances when property owners did not research the easement restrictions and unknowingly built their house or business on an easement. Needless to say, this scenario could result in expensive renovation costs, frustration, and even litigation. When buying property, you may assume that you will own the land around your home or business, i.e., front yard, back yard, driveway, or parking lot without others having the right to use it. But that is not always the case. When you review the real estate records, you may find that someone actually has a right-of-way through your property. In some instances, the previous owner might have been compensated for granting this access. As the new property owner, you will be inheriting the previous owner’s responsibility to observe the easement holder’s rights and privileges. It is also important to note that as the property owner you would be responsible for paying taxes on the entire parcel of property. 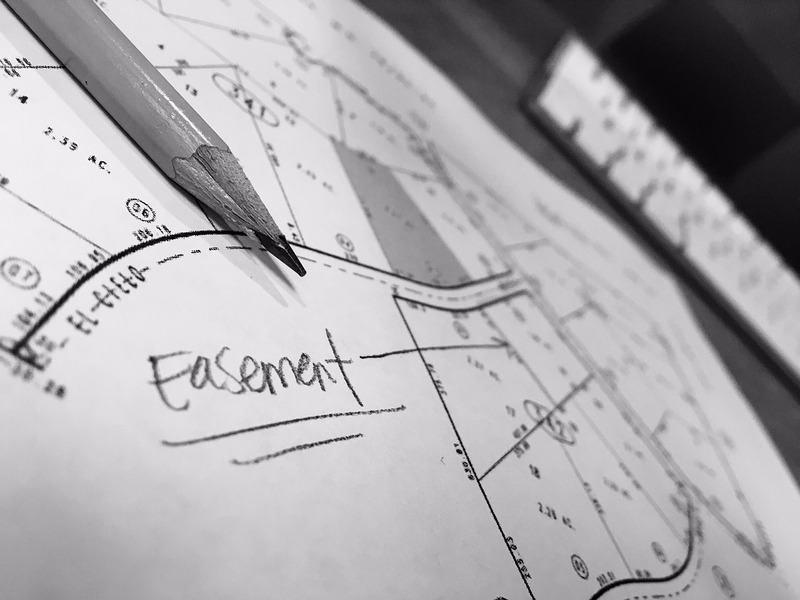 Most of the time, there is not a problem with easements, but it is important to check. A real estate attorney or agent will advise you to obtain title insurance along with the purchase, which provides a report that details all issues with the property, including easements, liens, outstanding mortgages, judgments or unpaid taxes. If you are handling the purchase on your own or just want to know what easements are currently tied to your property, deeds are a matter of public record and can be obtained from the county recorder or assessor’s office. Highway and Public Works Departments would also be a good resource for utility and road easements. Given the potential headache an easement can become, it is important for your peace of mind that you are fully aware of any restrictions and requirements tied to a property before a sale is finalized. View / Print a copy of this article in Volume 9 of the Law Office of Sativa Boatman-Sloan, LLC & 417 Elder Law Newsletter.